A new pillow is a wonderful way to freshen your decor. Even better than buying new pillows, is using an inexpensive or DIY pillow cover to put over your existing throw pillows. You can update a room in no time, without a lot of money or committment, using a pillow cover. Today I have a cactus pillow for you, an easy to make trendy pillow that will add color to your room. If you’ve been following along on Instagram you’ve seen my cactus obsession lately, they are seriously so cute! 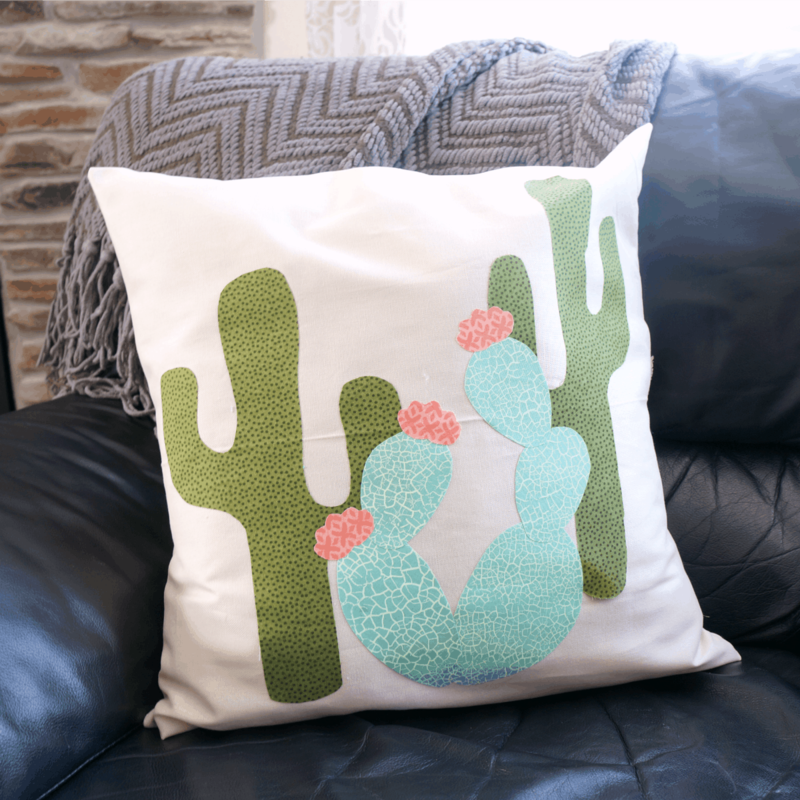 Take a look at how easy this cactus pillow is to make, especially when I give you the free template and a full tutorial. 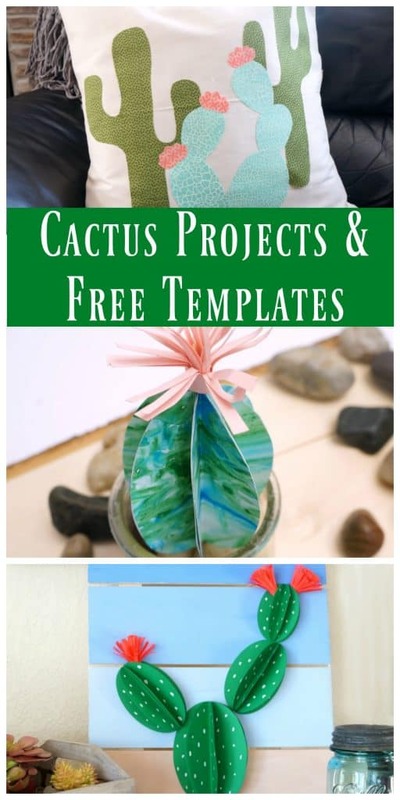 Creative Ramblings subscribers can download a template for this project as well as my other cactus projects. Sign up here to get your templates. 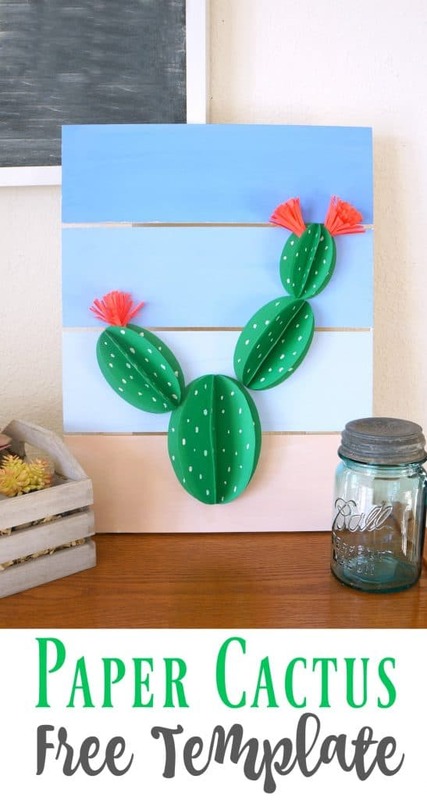 Yesterday I shared a paper cactus pallet that brings color and fun into my living space. When you subscribe to Creative Ramblings you get the template to make that paper cactus, this pillow and more. Get all the details below, just click on the image. Pillow cover – buy one here or make your own envelope cover using just a half yard of fabric. 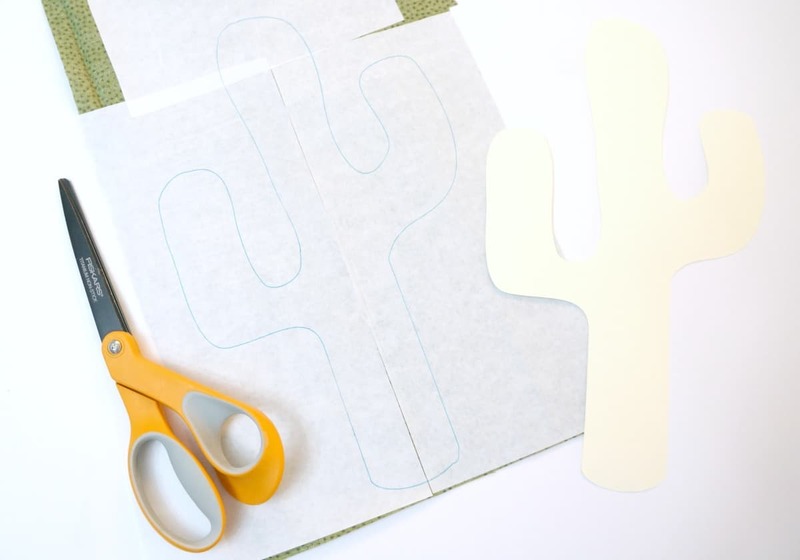 Start by downloading the cactus pillow template, there are 3 pages total, and cut out the shapes. Next, lay out your printed fabric. I chose a dark shade of green for the larger cacti and a light print for the one in the foreground. I also used a coral print for the flowers. Adhere the Heat n Bond to the back side of the printed fabric. Lay the Heat n Bond so the shiny side is touching the backside of the fabric. Iron lightly so the 2 material stick together. You should be left with a paper backing. From here, trace your templates onto the paper backing and cut them out. I like to conserve my Heat n Bond. For this cactus I used leftover pieces and fit them together. The hold is just as strong. Carefully remove the paper backing from your shapes and arrange them on your pillow cover. There are so many options here, just play around with them until you are happy with the result. 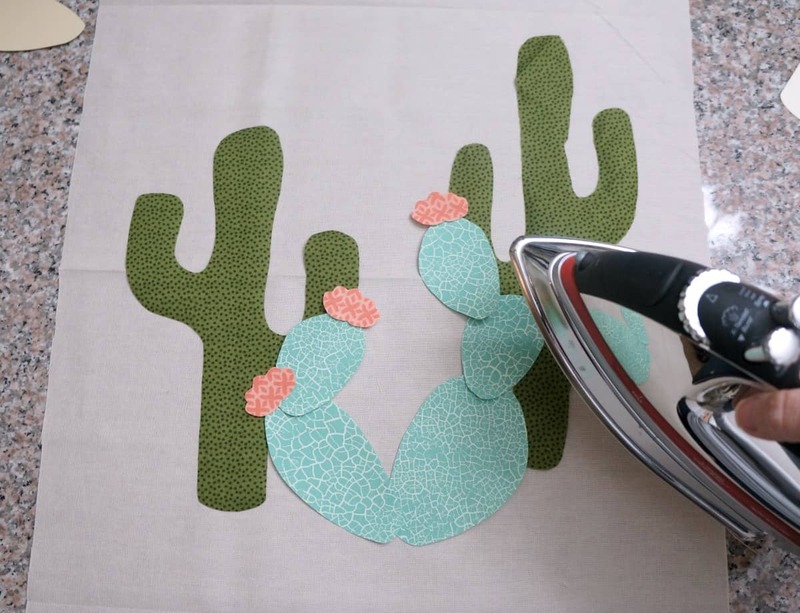 Once you are satisfied with the placement, iron the cacti to adhere the fabric to the pillow cover. 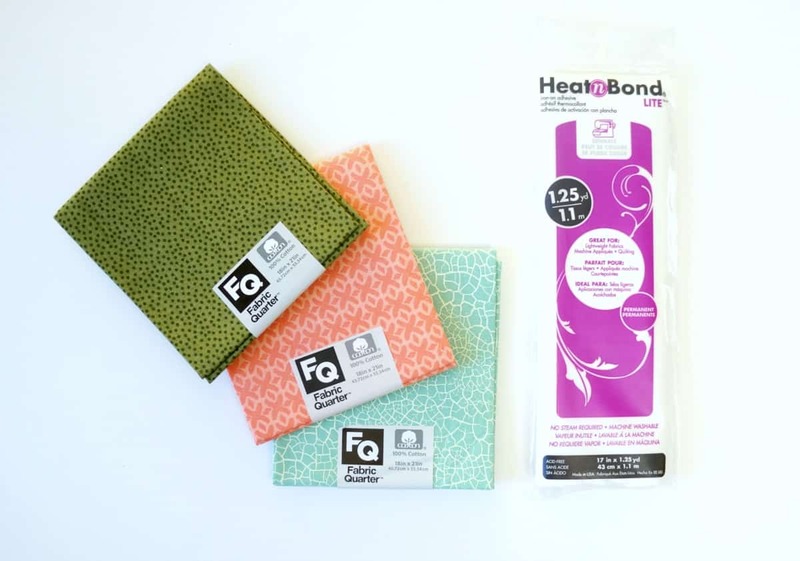 Follow the instructions on your package of Heat n Bond for specific ironing instructions. To finish this pillow you could top stitch around the cacti, but you do not have to. Heat n Bond holds up well for me and the pillows in our home get a lot of use. 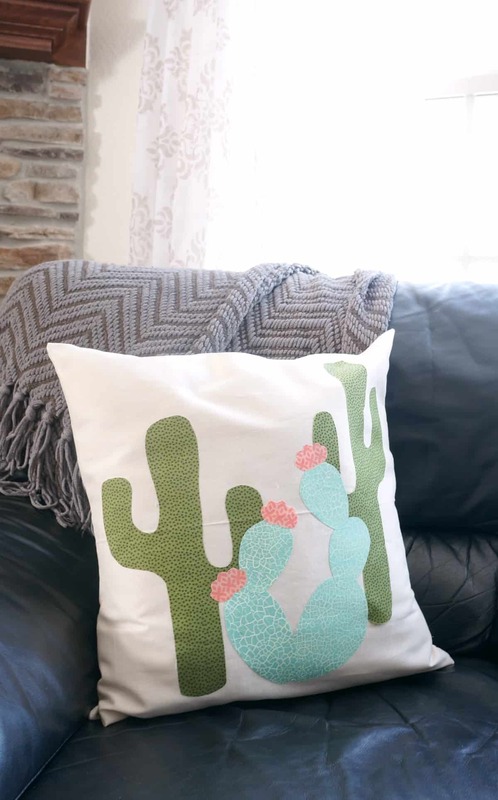 This cactus pillow is on trend right now and a fun way to add some color and style to your home. 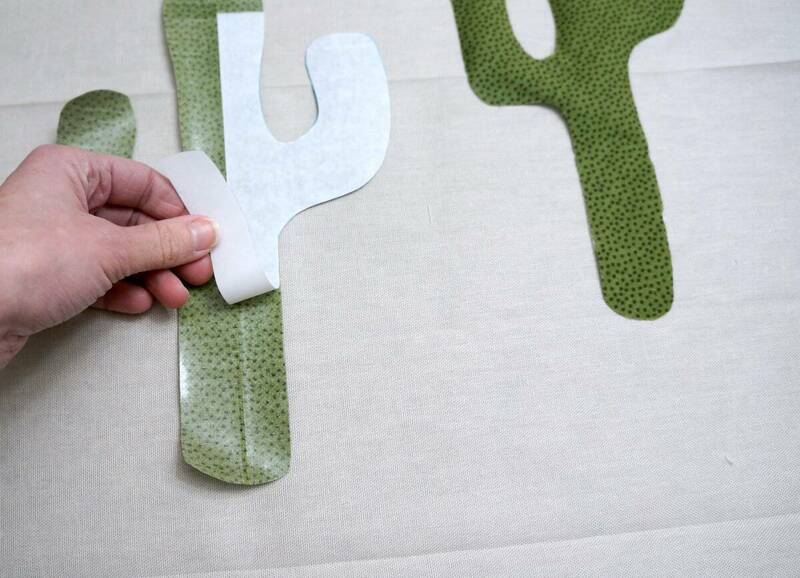 Download your template here and have fun making your own cactus pillow.